Für die aktuelle Ausgabe des International Journal of Advanced Pervasive and Ubiquitous Computing (IJAPUC) haben Reinhard Bauer, Martin Sankofi, Petra Szucsich und Klaus Himpsl-Gutermann einen praxisorientierten Leitfaden für den Einsatz von Apps und Online-Tools im Rahmen von Aktionsforschungsprojekten mit dem Titel „An APPsolute Beginner’s Guide for Action Research“ verfasst. Without any doubt, rapid digital technology advancement has a significant impact on the work of researchers in all scientific disciplines. Against this background, the major objective of this article is to give a brief overview of mobile device applications that enable continuous and seamless learning and work in all research phases. It is the intention of the authors to equip teacher-researchers with a practical user guide that encourages them to try out various applications for searching, collecting, annotating, analyzing, visualizing, interpreting as well as publishing information. Especially in the context of education, these complex processes may well be linked to Bloom’s Digital Taxonomy, focusing on the actions and learning behavior of the 21st century. Owing to the dynamic nature of the issue under review, this contribution will undoubtedly only offer a snapshot. Ein Article Preview ist hier zu finden, eine Auflistung und Beschreibung der Apps und Online-Tools hier. Bauer, R., Sankofi, M., Szucsich, P., & Himpsl-Gutermann, K. (2018). An APPsolute Beginner’s Guide for Action Research. 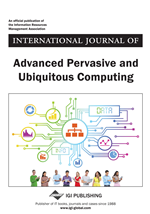 International Journal of Advanced Pervasive and Ubiquitous Computing (IJAPUC), 10(3), 1-22. doi:10.4018/IJAPUC.2018070101.